After spending two weeks in the (sometimes unbearable) heat of Mexico, it was a relief to come home to the temperate climate of the Pacific Northwest. The winter rains are (slowly) subsiding, and I returned just in time for the arrival of spring. 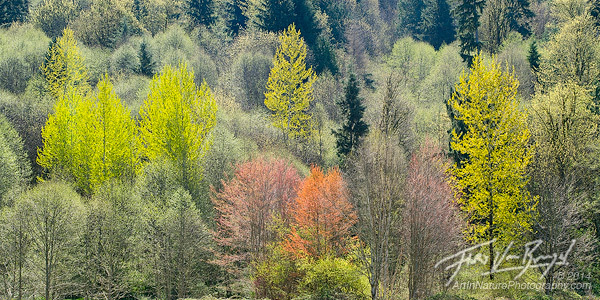 Over the past few weeks I’ve had several chances to get out and enjoy the emergence of the greenery, flowers, and sunshine. 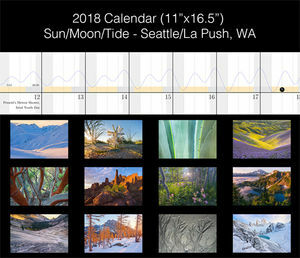 Click any image for larger view! 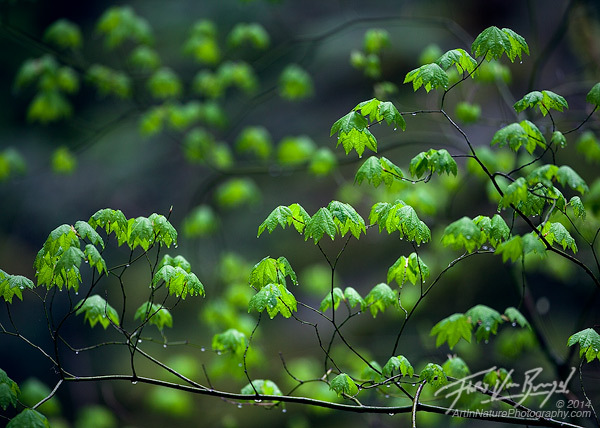 After 6 months of soaking up the winter rains, the vine maples along the cascade foothills finally emerge from hibernation in spring, unfolding like tiny origami creatures. 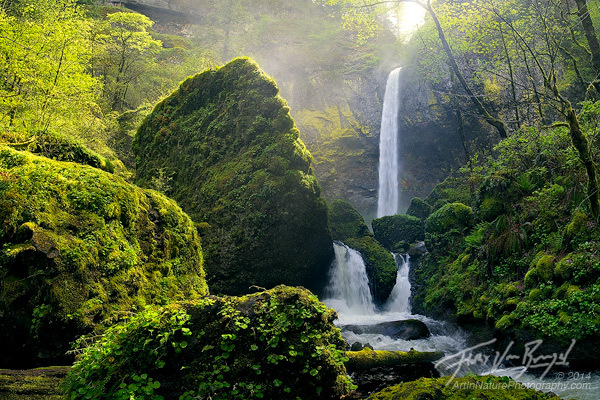 Sunshine brings life to the plants surrounding the majestic Elowah Falls of the Columbia River Gorge in Oregon. 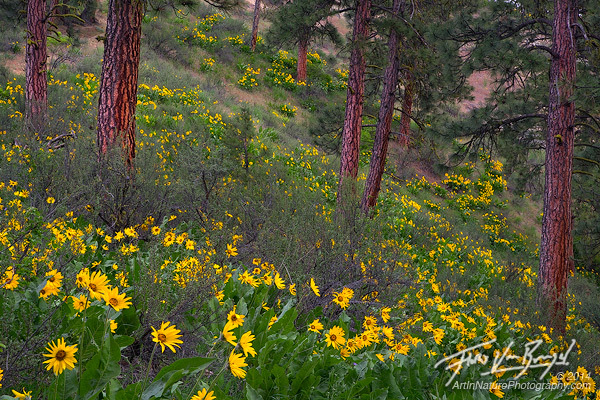 In spring, the Arrowleaf Balsamroot flowers burst into bloom across the hills of Eastern Washington. While they normally prefer open sunlight, occasionally the Ponderosa forests are open enough that the flowers carpet them with color. 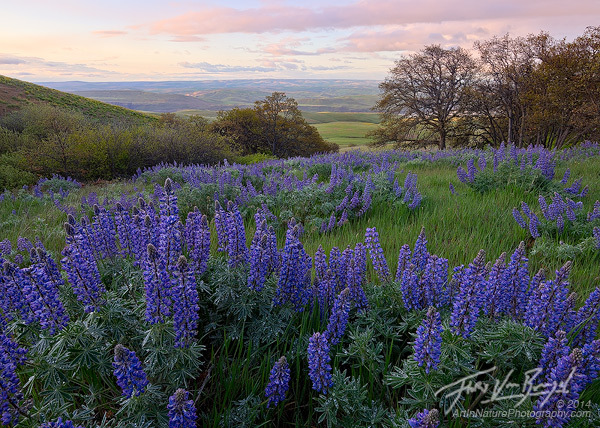 A field of lupine flowers overlooks the Columbia River Gorge in spring time. During my trip to Mexico, the sun was my enemy. Being in it was uncomfortable, painful even. I constantly sought out trees to sit under and always walked on the shady side of the road. The hours between 1pm and 5pm were a real chore to get through, unless I was half submerged in water (under an umbrella to shield me from the sun). To make matters worse, the sun moves so fast that you hardly get a chance to enjoy the sunrise or sunset. Here in Washington, the sun is my best friend. It brings life, not just to the plants around me, but to my own mind, soul, and body. I relish soaking in the warm rays of light. It was delightful to be back in a place where I could do just that. These images are intended to be a celebration of sunshine. Let them take you away to where the air is crisp and clean. Imagine the warm rays of sunlight as they tickle your skin. Listen to the Meadowlarks, the roosters of the American West, as they herald the morning sun. Smell the sweet fragrance of the wild flowers, and watch as the newly emerging leaves dance in the wind. It’s the time of year to come out of hibernation, stand up straight, and embrace each day with a dance of joy! 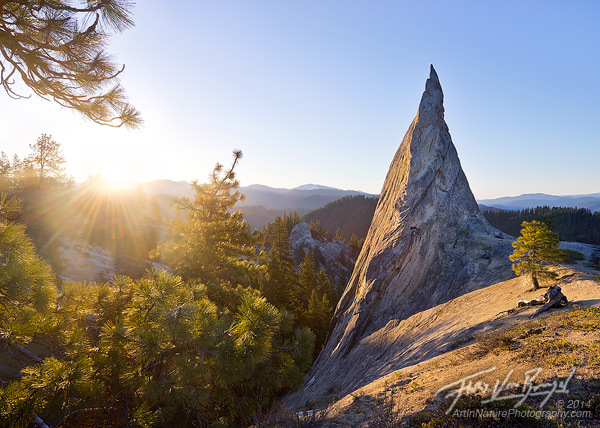 A lone rocky spire stands proudly over the cascade foothills in Eastern Washington. 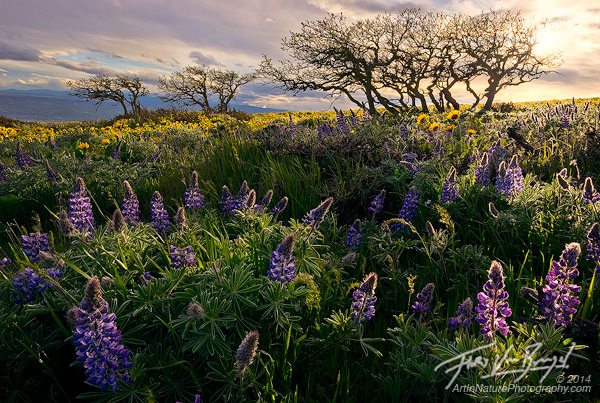 Wind blown wild flowers and scrub oak trees soak in the final rays of sunlight high up on the ridges of the Columbia River Gorge in Washington. Inspirational work as always. Great stuff Floris. Floris, Thank you for posting that vertical version. I would love to visit that place one day. You are a great artist Floris. Again beautiful photos, and again all of them with good compositions. What a like very much is that the pictures show the grandeur of nature. I “read” and feel the silence. Great work! Great post Floris, some incredible images in here.